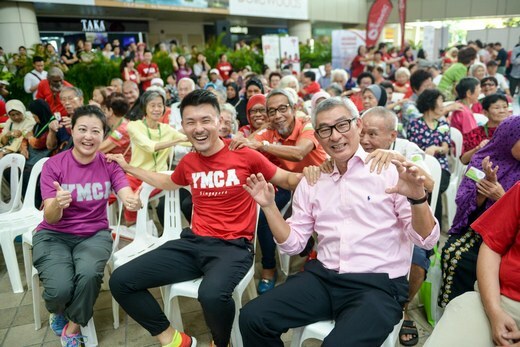 YMCA Silver Fiesta 2017 is an annual event which engages volunteers to promote intergenerational bonding and an active-ageing lifestyle amongst the elderly through Arts & Cultural based programmes. The event celebrates the silver community through the engagement of volunteers in promoting intergenerational bonding and an active ageing lifestyle amongst the elderly through various programmes such as traditional opera performances, handicrafts sessions, carnival games, exercise workouts, sports and dance. * Volunteers may select either the AM or PM shift. Each shift is 6 hours long. Volunteers who can volunteer more than 1 shift are welcome. 1. Befriender: The most direct and interactional experience for the volunteers to engage with the elderly (and some disabled) beneficiaries. The ideal is to have a 1-to-1 pax pairing with the beneficiaries, accompanying them and talking to them. The volunteers also accompany them to the various games booths, sit with them during the performances, and bring them food from the booth. 2. Logistics: To help carry and move things around to the various areas in the venue, such as food & beverage, boxes of items, packing/unpacking, etc. 3. Stage Hands: This team will be stationed near the stage and assist in all ad-hoc performance related tasks. 4. Booth Helpers: There will be several game booths at the event for the beneficiaries. Volunteers will get the satisfaction of manning and the booths and encouraging the beneficiaries as they participate. 5. General/Unspecified: The organisers are also open to volunteers who do not have a specific role in mind, and are open to moving between roles as and when needs arise.